You can’t see them, but forces make the world go round. Friction happens when two things rub against each other. Friction makes things slow down. It can also warm them up. Try rubbing your hands together. Are your hands warmer? Gravity is a natural force. It pulls everything down towards the earth. When you push a friend on a swing, you are using another force. Pushing moves something in the direction of the push. The harder the push, the further the item goes. Pulling something has a similar action. The harder you pull, the faster something moves along. Pressure is another force. Pressure is force applied by weight. For example, if you press down on a grape, the pressure squishes it. Walk in snow and the pressure of your feet leaves footprints. Friction happens when two things rub against each other. Friction makes things slow down. Any kind of force is really just a push or a pull. Magnetism is a type of force. A magnet might pull an object toward it or push it away. Inertia is not a force. Anything with mass – or anything that has weight – automatically slows down because of that weight. This is inertia. The larger something is, the more inertia it has and the more force you need to make it move. An elephant has more inertia than a caterpillar, for instance. 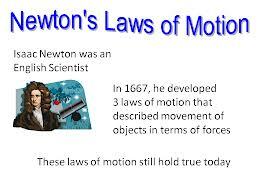 Sir Isaac Newton was one of the first scientists to study gravity and force. Scientists still use his three laws today. The first one says that a body in motion is likely to stay in motion, while a body at rest will stay at rest. A kid playing soccer will probably keep playing. A kid watching movies will probably keep watching movies. The second law says that if a force acts upon a body, it will change the body’s speed or direction. If you kick a soccer ball, it’s going to change direction and speed. Finally, the third law says that for every force and action, there is an equal reaction. If you give that soccer ball a soft kick, it won’t go very far or fast. A big kick sends the soccer ball flying across the field. Springs and elastic are also types of force. Push against them and they resist. They spring back with the same force you gave them. Read on for more all about forces, push and pull. A video excerpt of the forces, push and pull. Answer: Velocity is the speed of an object as it moves in one direction. If it changes directions, its velocity changes too. Enjoyed the Easy Science for Kids Website all about Force info? Take the FREE & fun all about Force quiz and download FREE Force worksheet for kids. For lengthy info click here. Declan, Tobin. " Facts About Force: Push and Pull - Easy Science For Kids ." Easy Science for Kids, Apr 2019. Web. 22 Apr 2019. 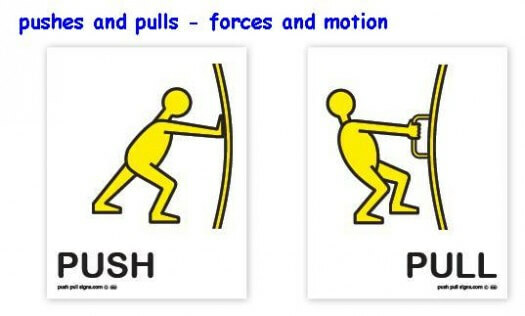 < https://easyscienceforkids.com/all-about-force-push-and-pull/ >.